Have you ever wondered how to make people stop by your booth during the next tradeshow? You don’t need to panic or waste working hours to devise low cost strategies or ideas when you plan with custom tradeshow accessories offered at ProImprint. You can select these accessories to uplift value of your tradeshow booth during the event and invite great participation from masses. No matter whether you live in North Carolina or Washington, DC, we can ship your order soon. 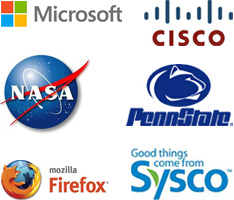 We have one of the quick turnaround times in the industry. 100% customer satisfaction guarantee and 110% lowest price match guarantee are standards that you can expect on all our products. We understand that tradeshows are the events that offer plenty of networking opportunities to marketers as well as attendee. We do understand that tradeshow venues serve as satellite offices for any business and they cannot afford to miss on such opportunities. This means building up a tradeshow venue is very much the same as decorating a lively office. 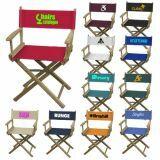 You can lend an extra bit of personality to your business and tradeshow booth by using these personalized tradeshow accessories in an appropriate manner. Every small or big accessory that lends credibility to your brand name qualifies for inclusion this category. 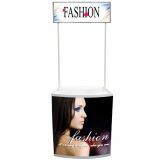 ProImprint carries a vast selection of promotional tradeshow accessories that allow you to easily create a distinct identity in crowded tradeshow venues. 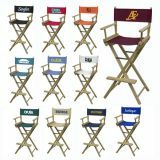 You can select from our selection featuring demo stands, chairs, chair covers, etc. We also offer several tradeshow games that exhibitors can employ at their stands to invite customer participation. These accessories will make your customers understand that you are serious about your business and wish to interact with them. It is always said that first impression goes along way in building lasting relationships and you cannot afford it to let it go. 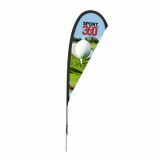 Ordering your logo printed tradeshow accessories is very simple and easy with ProImprint. If you feel that this selection is very confusing for your tastes or requirements, you can always get in touch with our experienced tradeshow branding experts at 844-776-4677 or write to them at info@proimprint.com. Our team will happily assist you in selecting the right accessories and also suggest appropriate customization options. Just let us know about your next tradeshow or business event so that we can ensure that you are already show-stealers even before it is officially inaugurated.